The nominees for the 2013 Academy Awards were revealed this morning in Los Angeles, and Adele’s theme song for the latest James Bond film, Skyfall, is among the five finalists for Best Original Songs. Other nominees include “Everybody Needs a Best Friend” fromTed, “Before My Time” from Chasing Ice, “Suddenly” from Les Miserables, and “Pi’s Lullaby” from Life of Pi. Among the songs included on the shortlist which failed to make the final cut: Arcade Fire’s “Abraham’s Daughter” from The Hunter Games (the song is nominated for a Grammy); Fiona Apple’s “Dull Tool” from This Is 40; The Black Keys’ “The Baddest Man Alive” from The Man With the Iron Fists; Karen O’s “Strange Love” fromFrankenweenie; Mumford and Sons’ “Learn Me Right” from Brave; Rick Ross’ “100 Black Coffins” from Django Unchained; and Liz Phair’s “Dotted Line” from People Like Us. 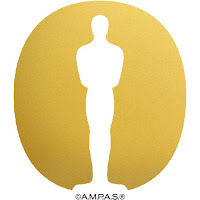 The Academy Awards air on ABC on February 24th at 7 p.m. ET/4 PT. Below, take another listen to Adele’s Oscar-nominated “Skyfall”.